Buy the original books here! The story began in 1994 on the bank of the River Ob amidst the endless expanses of the Siberian taiga. The well-known Siberian entrepreneur Vladimir Megre met with two elderly gentlemen who told him about the amazing properties of the Siberian cedar (also known in the West as the Siberian pine ). At first he didn’t pay much attention to what they told him, but as he continued to reflect on it, Vladimir began to discover, in the historical and scientific literature he examined, more and more evidence supporting their words. Finally he decided to organize an expedition with a fleet of river steamers. The expedition was ostensibly for commercial purposes, but in actual fact his overriding motivation was to find the elders again and learn more about the secrets of the cedar. Not only light powers are attracted by the books of Wladimir Megre. 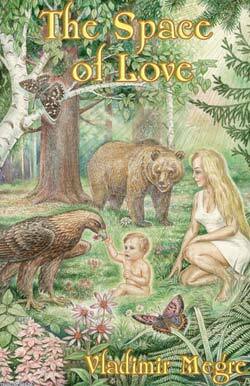 The third volume «Space of love» starts with the notice that a group of robbers tried to hijack Anastasia and her son. In this book the reader gets to know many interesting things about Anastasia´s education and the role of nature, about the space of love and about her further fate. This book also deals about a completely new school, the forest school of the academic Michail Petrowitsch Schetinin. This book is exceptional poetic. Anastasia tells about the origin of the universe – of being – of love. She enthusiastically speaks of the appearance of man – of Adam and Eve. But the book reports more than that. Highly interesting narrations of past and future of our earth intertwine each other. Incredible sounds the story of a visit of Anastasia and Vladimir at another planet where strange people live. 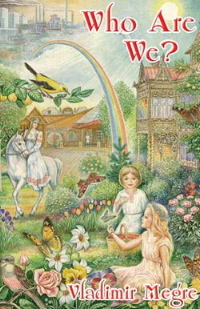 Anastasia – Who are we? Quite sober the book starts with a talk to a children´s psychologist. Megre hopes to find some help here before he first meets his five-year old son Wolodja. The talk quickly becomes one of the deepest dialogues about partnership, sexuality and creation. Megre then describes his first encounter with his son which is going be vice versa to what he had imagined before. This encounter is surprising and thrilling for the reader – because Wolodja is so very natural. All false things are uncovered easily – very much to the frustration of his father. 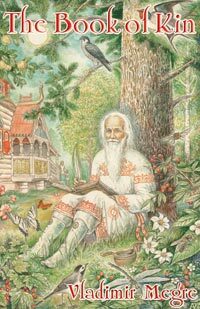 Very touching is the scene as the grand-grandfather of Anastasiya is deceasing and his family and especially Wolodja is giving a frame to the event which lets the reader get an idea what conscious living and dying can mean. Anastasia describes in detail the life of her ancestors and what kind of paradise-like circumstances had been in those times – also as a expectation and vision for our future. But it also deals with collective backgrounds of nowadays people and the role of the top priest and the priesthood who set up the puppet show for the development of mankind. Last but not least there is the recommendation to the reader to write his own «Book of Kin» or «Book of the Ancestors» for his children and descendants. In this volume «Energy of Life» the energy of life is dealt with. A very profound energy of life is the energy of the right thinking and wanting. How do you marry in a very short time an English Lord? Or how can a wife become a Goddess? And what is this all about the speed of thoughts? And why should one eat like one breathes – which is the best nutrition at all? And again there are marvellous stories which touch deeply the soul. So we get to know more about the blue ball and a surprising talk which Anastasiya has with the blue ball after her fights with counter-powers. We get to know more about the old vedrussian civilization and how the effortless stood against the attacks of the Romans – how 90 young vedrussian men dealt with a Roman Elite army of 5000 soldiers and convinced them about the nonsense of their goals. Yes, it just needed just two little arguing vedrussion children and some bees to make the Romans flee. How the orphan Sonya creates with all her power a paradise and why nobody breaks out of prisons in future but breaks IN. Light will be shed on profound contexts. 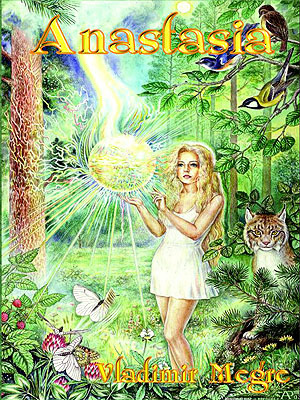 The New Civilisation chronicles another visit by Vladimir MegrÃ© to Anastasia and their son, providing new insights into practical co-operation with Nature and showing in even greater detail how you can apply Anastasia’s wisdom to your own life. Anastasia shows Vladimir a vivid scene of America’s radiant future, revealing how the conflict between the powerful and the helpless and between the rich and the poor can be overcome and thereby lead to positive transformations in both individuals and society. 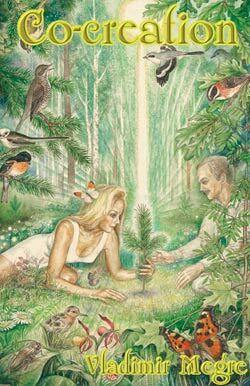 The New Civilisation demonstrates the proven power of Anastasia’s creative imagery, as she inspires us to become co-creators of a marvelous future for all mankind. 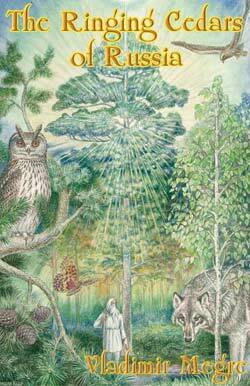 Anastasia’s word-images are being taken up by thousands of readers of the Ringing Cedars Series, and also it seems, by the Universe itself. Across the globe, as if responding to a call, people from all walks of life are committing their support to the creation of this radiant vision of a «Paradise Planet». â Such beneficial energy can flow from Man as has never before been seen. Every living creature on the Earth needs this energy just as it needs air, sunshine and water. And even sunlight is but a reflection of the great energy emanating from Man. Tens of thousands of Russian citizens have already begun to materialize it. They are doing so without support from governments and states. Millions are dreaming of it, and I am no longer alone as a believer. People are not creating this future on paper but through their work, right on the ground. I will be happy to welcome each and every person who joins the creation of the great future. Talks about spirituality are only empty words if they come to nothing. The great spirituality of a real person should be realized in the beautiful and the material. I am sure it is the way it’s going to be. 25.26.6	Spilhaug skal evakuere Kongehuset!